Through the proliferation of digital technology, customers have become much more proactive. Today’s customers no longer wait for you to come to them and tell them what to buy. They do their own research, they are in control of their own customer journey, and they have a voice—a voice that can get very loud when they are unhappy. Through social media and other channels, customers can connect directly with businesses and each other, and can publicly address their concerns. ; And as the established role of the customer changes, the best practices for customer service change along with it. Clients who are used to being able to get into contact with you or your agents instantaneously are going to expect resolutions that are just as prompt. ; Modern customer service best practices extend beyond your support team as well. You see, the age of connectivity has really driven home one point: customers want to be treated like people, and they want to buy from people. With modern technologies reshaping how clients and companies connect, actual working buyer/business relationships are becoming a reality. It’s been said that all things being equal, customers will choose to buy from a friend. It’s also been said that all things being unequal, customers will still choose to buy from a friend. ; In order to establish this kind of familiarity with your clients in the age of digital communication, you need to provide the best customer service possible. Customer service best practices help you keep your clients in focus. To the average business, customers are a means to an end. Without customers, businesses don’t generate any profit, and so it only makes sense to want to maintain them as a resource. However, businesses with this mindset fall into the trap of treating their customers like numbers. Naturally, this isn’t how customers want to be treated. In fact, 66% of customers would switch brands if they were to be treated like a number, rather than like an individual. Likewise, it’s not enough to establish a single customer-facing department capable of offering high-quality service. 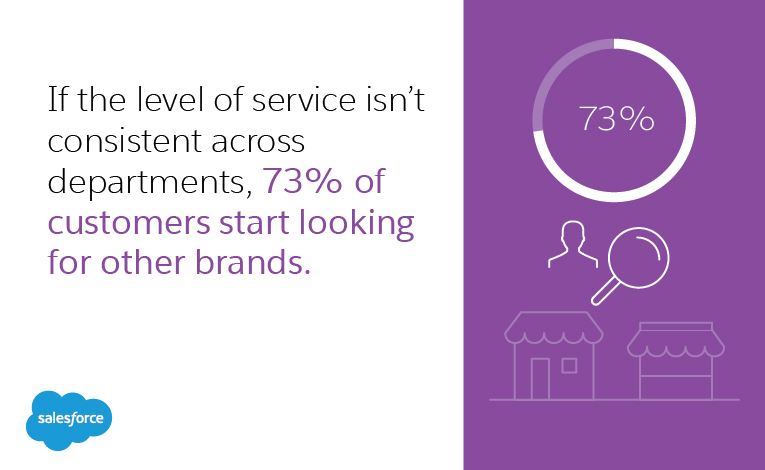 Inevitably, situations will occur where your customers end up interacting with other departments, and if the level of service isn’t consistent across departments, then 73% of customers start looking for other brands. Hire the right people, and treat them well. Your agents are your brand’s diplomats. Through them, you form and maintain connections with the customers that keep you in business. This is an absolutely vital position, and not one that should be entrusted to just anyone. Take the extra time while hiring to make sure that the service agents you bring on board are up to the task. How can you attract this level of talent? 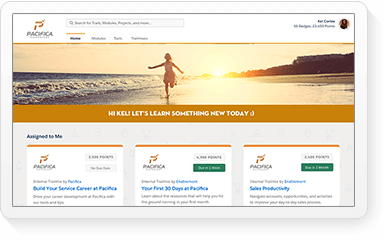 Offer competitive pay and appealing benefits, and provide a clearly defined path of promotion. Make the job fun through rewards and gamification. If you can hire and retain exceptional service agents, then exceptional customer service will follow. Customers tend to expect the world, but promising them the world may not be the best tactic, because what happens when you make promises that your business is unable to keep? Instead, tell your customers exactly what they can expect from you, and then work hard to exceed those expectations. Customers see that your business is willing to go the extra mile, and you won’t have to worry about damage control for unfulfilled promises. In business, you never get a second chance at making a first impression. This has become even more true as customers have become more connected. If a client has a negative experience, they can easily start doing business with someone else — often with nothing more than a few clicks of the touch screen. When new customers are introduced, give your agents the support and the incentive to astound them. A customer relationship that starts off strong will be much more likely to stay strong. The best support is informed support. As your agents interact with clients, they can gather important customer information simply by asking the right questions. This not only helps to establish a productive dialogue between your business and your clients, it also gives you an opportunity to receive and implement valuable feedback. Also, as client needs shift, the right questions will help you better adapt to serve them. 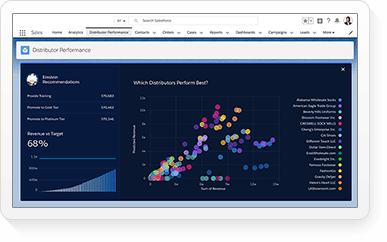 Likewise, the use of a CRM for data capture and analysis can help you provide a customer experience that is personalised to every client. CRM tools go a long way towards helping businesses personalise their customer interactions. In addition to gathering and analysing data, CRMs make it easy for agents to track the preferences and histories of every client, and to access and collaborate on that data from multiple devices. This empowers businesses to turn traditional ‘customer service’ into a one-to-one customer journey. Given that 69% of consumers and 82% of business decision-makers say personalised customer care has a major or moderate impact on their loyalty to companies, this is one practice that you can’t afford to overlook. Be where the customers are. Today’s clients have more than a few channels they can use to contact you, and you need to be available on all of them. From conventional telephone, to mobile device, to social media, to live web chat, to online forums, and beyond, an omni-channel customer service centre will show your clients that you care enough not to dictate how they communicate. 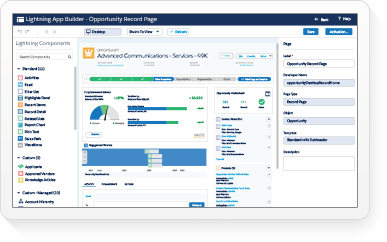 Reliable CRM can help facilitate this practice, as well, by making the same data available across every channel. It’s easy to say that customers are the heart of your business, but how well are you living it? Clearly define customer service standards for your company. 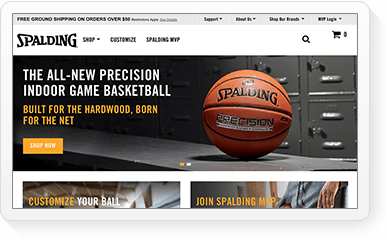 Keep your clients informed and involved in their own customer journey. 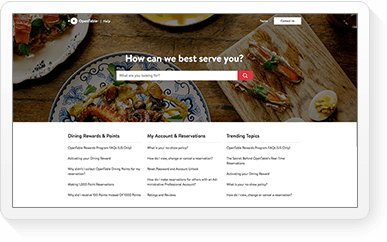 Give you agents the right tools and support to be able to provide superior service, and reward them when they do so. After all, your customers are the heart of your business, and staying focused on them is best practice of all. When it comes to providing the best customer service, it’s no surprise that so many best practices take advantage of CRM technology. 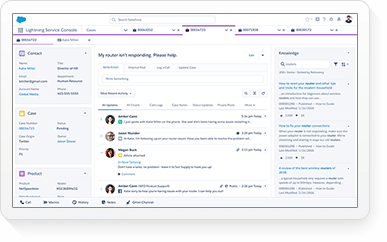 CRM improves communication — with clients as well as with employees across departments — and makes it possible to build the relationships that grow your business. 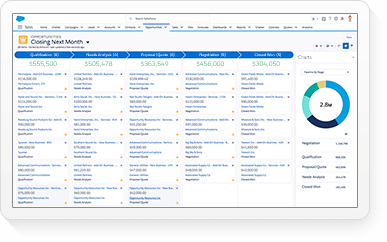 Salesforce, the most trusted name in CRM has taken this one step further, with Salesforce Service Cloud. 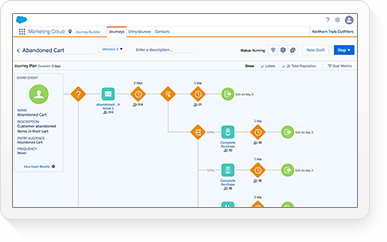 Salesforce Service Cloud is a powerful CRM designed specifically for customer service and support. 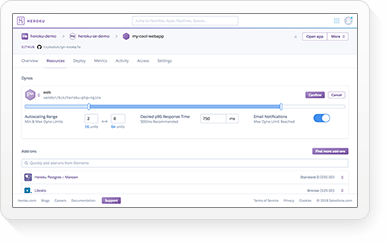 With Service Cloud, you’ll be able to help clients across every available channel, close cases faster and more efficiently, and provide customers with better self-service resources. 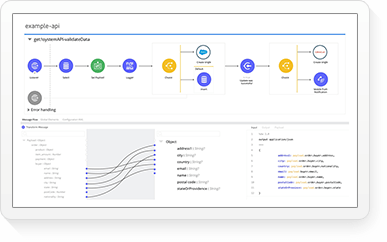 Most importantly of all, Service Cloud put the client relationship right where it belongs, at the centre of everything your do. 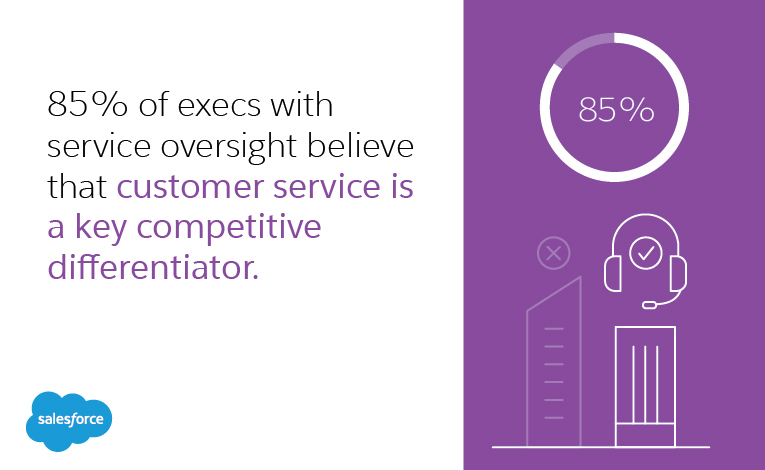 85% of execs with service oversight believe that customer service is a key competitive differentiator. Don’t fall behind the curve. Give your clients the kind of service that builds brand advocates, and business success will follow. 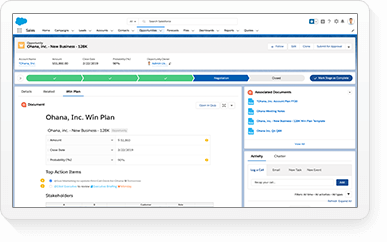 After all, today’s customers are more connected than ever, and with customer service best practices and Salesforce Service Cloud, you’ll be able to connect with them just as easily.